Well hello my little DIY-ers :) time for do a Do It Yourself manicure I think! I’m going to be using tools and tips so easy to get, you’ll be parading your beautiful hands at every occasion! The first thing you need to do is ensure your hands are clean! Not only for hygiene but because the water helps to soften the nails and skin a bit so it’s easier to file an shape them! Dry them thoroughly and then we can begin! Grab yourself a nail cutter. My nail cutter also has a nail file built into it but use any you like! You want to cut your nails using the corner of the cutter! Don’t slot your whole nail into the cutter because your nails will snap, be uneven and you’ll cut off more than.. You can chew? EW! Use the tip of the nail cutter and cut off small bits of the nail at a time. I don’t like nail cutters with a rounded tip because my nails actually grow square shaped so circular nail cutters are no good but use whatever ones suit your nail shape! 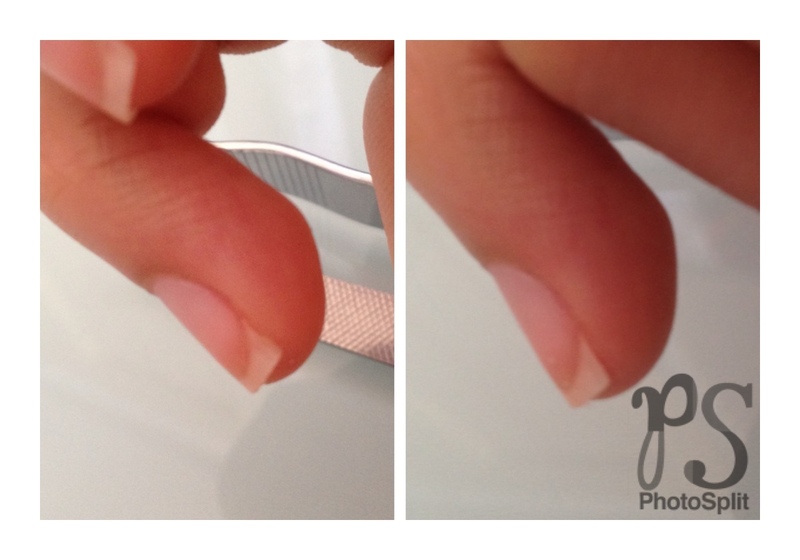 Once you’ve cut your nail, time to file them and smooth out any rough edges! I prefer using individual nail files because I can take them with me anywhere incase I chip a nail and because it’s easier to manoeuvre and hold. When filing, ensure you have a firm grip but gentle motion and only file in one direction (THAT’S WHAT MAKES YOU BEAUTIFUL). 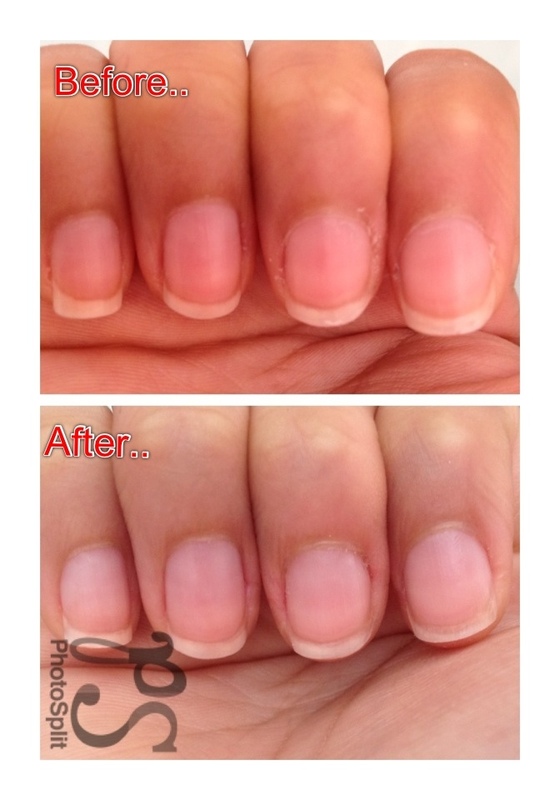 This prevents your nails becoming brittle.. Like mine are. When I file, I file the base of my nail flat so I can get a nice, clean and straight edge at the base of my nail. 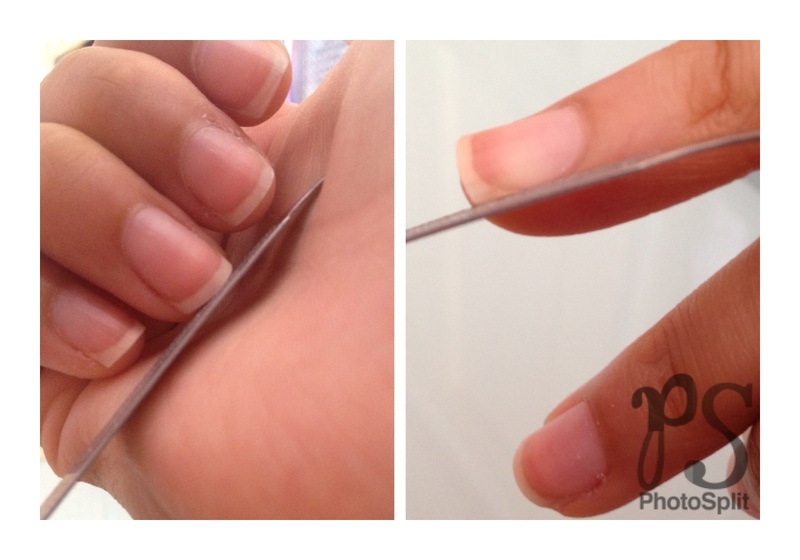 The edges of my nail can sometimes get uneven and quite jagged as shown below, so I file straight down and press against my nail to ensure a smoother edge. I then grab the end of the file and push my cuticles back. My nails are quite short in the sense that when I grow my nails, the white tip of the nail is quite large so by pushing back my cuticles, it evens out my whole nail. You need to push down on the nail and gently push back in a rocking motion ensuring the skin at the back of your nail forms a smooth round edge with no excess skin on the nail. You then want to grab a nail file to clean your nails as all this filing will have left quite a lot of dirt in your nail. At this point your nails will look butchered (London lingo) and worse for wear. I then grab myself the nail cutters again and any excess dry skin or bits of nail that need to be cut, I cut off. 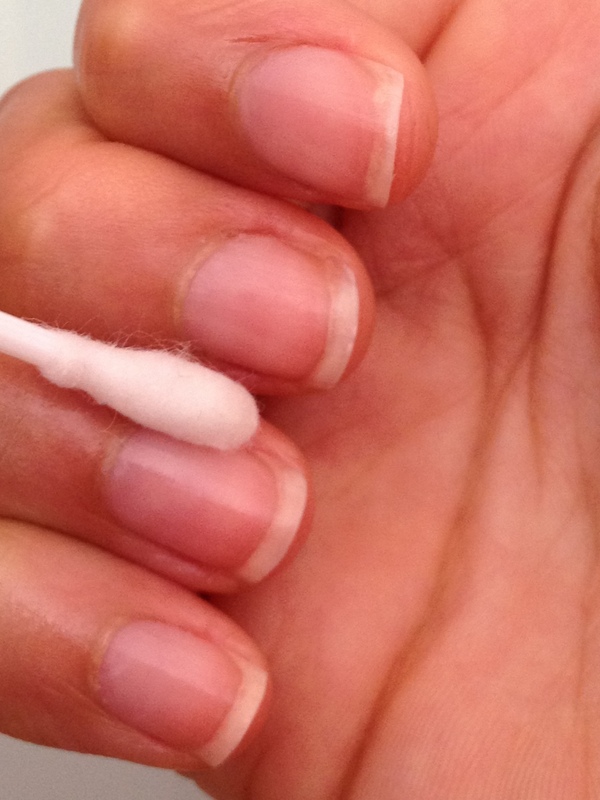 Last but not least, grab a cue tip or cotton bud and dip it in a oil of your choice. I used baby oil because it’s inexpensive but you can use cuticle oil and I rub this all over my nails and absorb it with my fingers.. I have said gently quite a lot! Why? 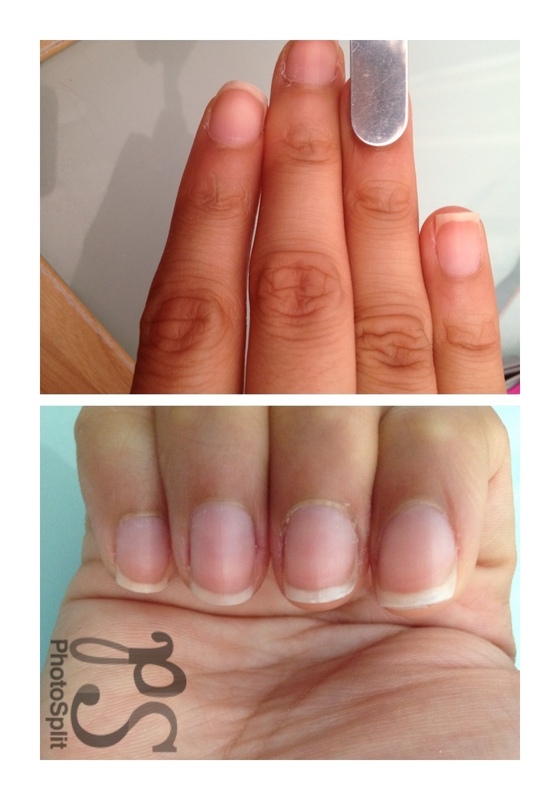 Because nails are very sensitive, so don’t e rough with them. You already endure quite a lot of hardship on your hands and nails during your day to day life. I do this once a week and usually on a Sunday so my hands are ready for the week. 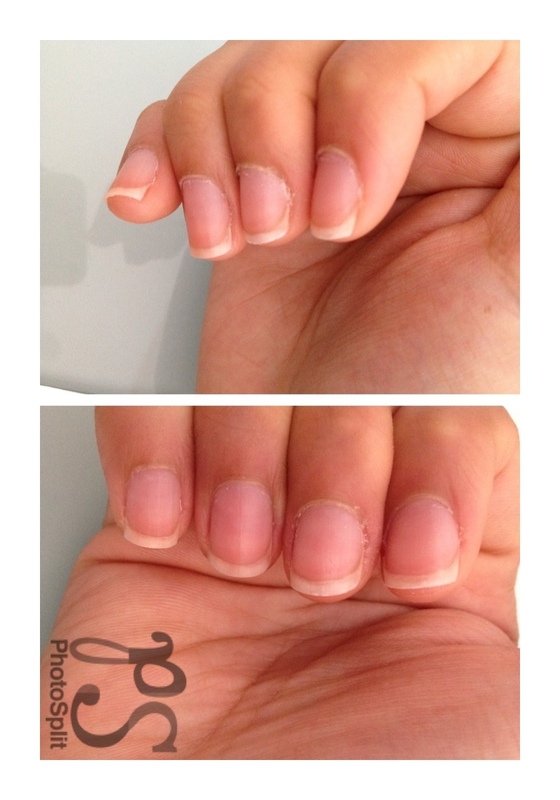 However, I clean my nails every day! If you want to paint your nails after, don’t use the oil as your nail varnish won’t go on as well.